1. Demonstrate you are an expert. Contactability’s QuoteCall program allows agents to position themselves as an insurance expert. When receiving inbound insurance calls, all the agent has to do is understand the callers needs, identify an insurance policy than meets their needs and review it with the caller. Contactability allows agents to be the insurance professional that they were trained to be. 2. Stay busy. 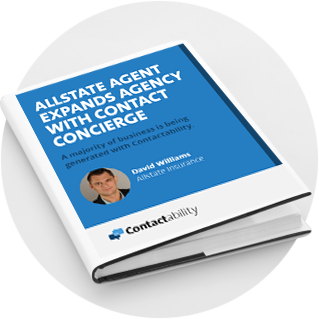 Contactability provides on demand insurance calls that agents can turn on or up, to keep themself and their office staff busy quoting clients. Agents can get 1 or 100 calls per day or anything in between. All an agent has to do is answer the phone, quote the client and write the policy. With Contactability keeping busy has never been so easy. 3. Be aggressive. Insurance agents are licensed to sell insurance policies statewide, Contactability is able to send agents calls from their local area or across your state. The larger geography an agent takes, the more policies they can write. Many agents like to work from 9-5, with QuoteCalls, agents can take calls as late as 9:00 p.m. and from 9:00 a.m. to 5:00 p.m. on Saturdays. Contactability enables new agents and long time insurance professionals to be aggressive in growing their book of business. 4. Know your costs. Unlike many marketing and lead programs, the price of Contactability’s calls are fixed. Agents receiving calls know what they are paying and what results they will get. There has never been a better program on the market. 5. Get what you pay for. Contactability guarantees a 100% contact rate with its insurance calls. For every call an agent buys, they are guaranteed to speak with someone that is looking to receive an insurance quote. Most internet insurance lead and insurance marketing companies are unable to make such guarantees. 6. Target your marketing efforts. Tired of talking with people not looking to purchase auto insurance? Tired of wasting time speaking with people that have bad driving records and no prior insurance? Contactability allows agents to customize the insurance calls they receive so that an agent ONLY speaks with someone looking for a quote. With Contactability agents can only speak with people actually looking to receive a quote and that meet the criteria established by the agent. 7. Innovate. 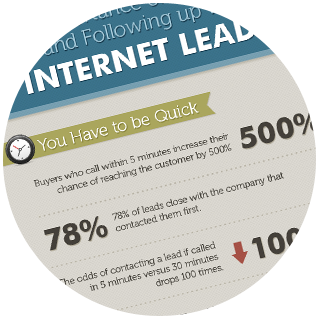 Insurance calls are the ‘new’ insurance leads. 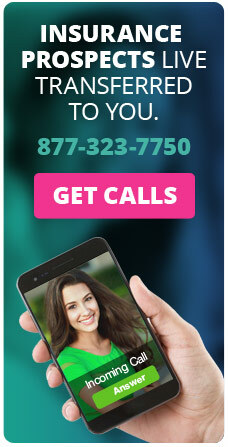 The calls are generated from mobile marketing, social media, mobile search and applications and more! The callers are qualified via an IVR or live agent and transferred to the insurance agent purchasing the Contactability Insurance calls. Auto Insurance marketing is constantly changing and Contactability’s insurance calls are a great way for insurance agents to innovate and stay ahead of their competition.